Cardiologists and chefs don’t always agree, so Michael Fenster, who is both a professional chef and an interventional cardiologist, offers a unique perspective in his article, “Don’t Hold The Salt: Attempts to Curb Sodium Intake Are Misguided,” published today on The Atlantic website. Fenster’s article will likely prove controversial. For years, salt has been the scapegoat of the American diet. The FDA’s blame of salt for high blood pressure is like finding a correlation between wearing skydiving gear and falling to one’s death in a skydiving accident. Sure, most people who die while skydiving are wearing skydiving gear; however, the act of wearing skydiving gear does not cause death. While salt is found in most processed foods at extraordinarly high levels, abundant research shows that salt is not the culprit. Salt is merely one ingredient in the chemical cocktail of processed foods, and processed foods are the problem. 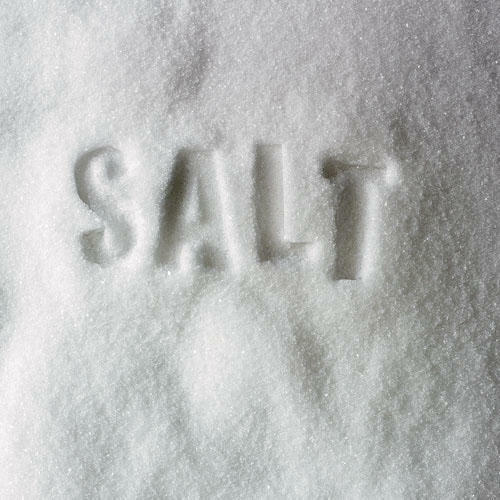 It is an undisputed fact that the majority of Americans’ salt intake comes from processed foods and pre-prepared foods (think: Kraft, General Mills, McDonalds, and any restaurant chains where food is uniform at every location, not restaurants with actual chefs), not from table salt or home-cooked meals. Perhaps because the FDA is well-connected to food manufacturers, the administration has generally avoided suggesting that overweight Americans eat less processed foods (such a simple recommendation!). Instead, the FDA recommends that Americans eat more fruits and vegetables (a stance that is less upsetting to their food manufacturing friends). In the interest of your health, you should consider the FDA primarily an undercover ally of food manufacturers, with a side interest in American health. Indeed, almost every head of the FDA comes from a background in food manufacturing, or is highly connected within that world. The mineral salt (NaCl) is Planet Earth’s oldest food seasoning. For thousands of years, salt has been and continues to be the safest, most natural method of food preservation. Across diverse populations, salt consumption is surprisingly consistent, though rates of disease vary. Over the past 50 years, salt consumption by Americans has remained roughly the same — about 3.7 grams of sodium per day, on average — according to the results of a 2010 Harvard study. The same study noted that the rates of high blood pressure and heart disease in America have increased over the past 20 years, which perplexed the researchers. A 2009 study conducted by UC Davis professor David McCarron analyzed the urine samples of more than 19,000 people in 33 countries over a 24 year period and found that individuals averaged about 3.72 grams of sodium per day. A 12 year study conducted in Switzerland turned up a similar number — 3.68 grams of sodium per day. Salt is a requirement of animal life. Sodium deficiency or low levels of salt in the bloodstream, also known as hyponatremia results in neurological symptoms and organ failure in humans. A 2010 article by Robert Schrier, “Does Asymptomatic Hyponatremia Exist?” published in the peer-reviewed medical journal Nature Reviews Nephrology found that even mild — and often undiagnosed — hyponatremia is associated with increased risk of bone fracture and bone disease. A study of patients being treated for hip fracture found that these patients had a 67-fold higher risk of showing low blood levels of sodium. Do low levels of sodium in the blood cause bone disease then? We don’t know the answer for sure, since an association does not guarantee a causal relationship. What we do know is that the levels of sodium found in your blood probably have little to do with how much salt you consume. This is good news! With appropriate amounts of water, your body will largely regulate your blood sodium levels on its own. Full-blown hyponatremia is not typically caused by a lack of consumption of sodium since the mineral is so abundant and our bodies are such sophisticated regulators; hyponatremia is more commonly the result of complications from other ailments. Just as hyponatremia is not caused by undersalting your food (though it can be caused by drinking too much water — generally only a problem for athletes and formula-fed infants), hypernatremia (that is, too much sodium in your blood) is not caused by oversalting your food. If you try to prove me wrong by drinking excessive amounts of seawater, you will more likely make yourself sick before succeeding. If our bodies are built to regulate salt intake, why all the hype about salt? Here’s why the FDA has been allowed to get away with using salt as a scapegoat: because of the association between blood sodium and high blood pressure. Since high blood pressure is associated with increased mortality, the medical industry has long hunted for a culprit, and ultimately settled on salt and cholesteral. The reason for such a conclusion is that some studies have found increased salt intake can increase blood pressure. (This finding is not surprising since many high-salt diets are the result of a diet of highly-processed foods). Since it’s generally accepted that people with low-to-normal blood pressure have lower mortality rates than those with high blood preassure, the assumption is that a reduction in salt, and therefore a decrease in blood pressure, will translate to a decrease in mortality. Fenster references one study that finds the highest mortality rates among people with the lowest levels of sodium intake, and another that shows the safest range of salt intake lies somewhere between 2.3 and 7 grams of sodium intake per day — well within the natural regulations of your tastebuds! The FDA’s current recommendation is 2.3 grams per day for healthy young adults and 1.5 grams per day for blacks, those with health problems, and older adults. One of the only studies ever to suggest a relationship between salt consumption and increased illness and death was the National Health and Nutrition Examination Survey, which found rates of illness and death related to salt intake increased only among the overweight. (The study used “personal recall,” not urine samples, to estimate salt intake.) In other words, the study found that if you eat too much salt and you’re overweight, you have increased risk of illness and death as compared with those who are not overweight. Again, to use our skydiving analogy: If you wear skydiving gear and you go skydiving, you are more likely than someone who does not go skydiving to die in a sky-diving related accident. Common sense tells us that the gear is irrelevant to this equation. By choosing one component of processed foods to vilify (in this case, salt), the FDA gives food manufacturers an escape route. Lawmakers want to pass laws that seem to support health — but they don’t want to lose the backing of powerful corporations. Blaming salt is an excellent compromise for lawmakers and food manufacturers. If such regulations limiting sodium become law, food manufacturers can simply pump their products full of artificial flavors and additives that mimic the taste of salt, label these Frankenfoods as “low sodium,” and voila — problem solved! Whereas chefs who use real ingredients — including the age-old and time-tested seasoning of salt — will have much more trouble abiding by such regulations. Another win for food manufacturers, and one more step in the wrong direction for American health. The bottom line on salt? Leave your food prep to nature and to human beings — not machines and scientists — and you should be just fine. Photo Courtesy: Leigh Beisch for Sunset. Excellent web site. A lot of helpful info here. I’m sending it to a few friends ans additionally sharing in delicious. Previous Previous post: Who Loses Weight and Keeps It Off? Next Next post: Soft Drinks and Sports Drinks: Would You Drink Flame Retardant?